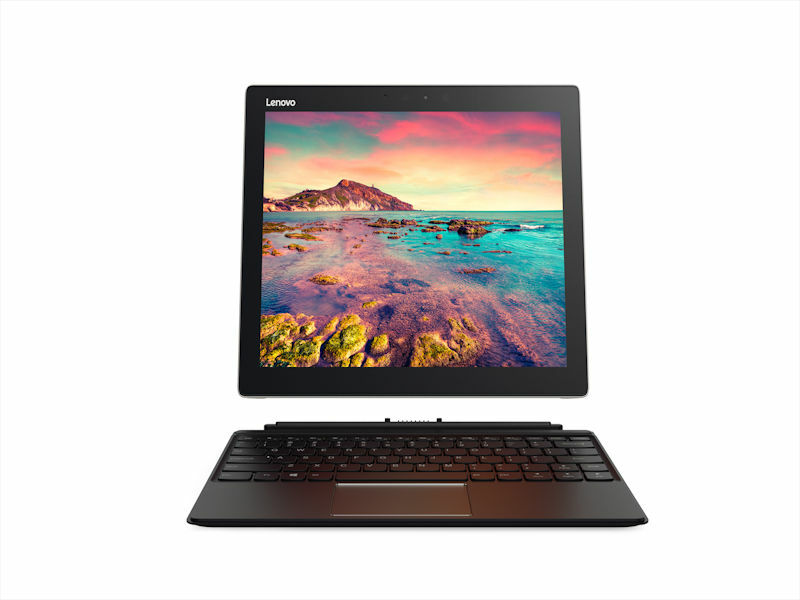 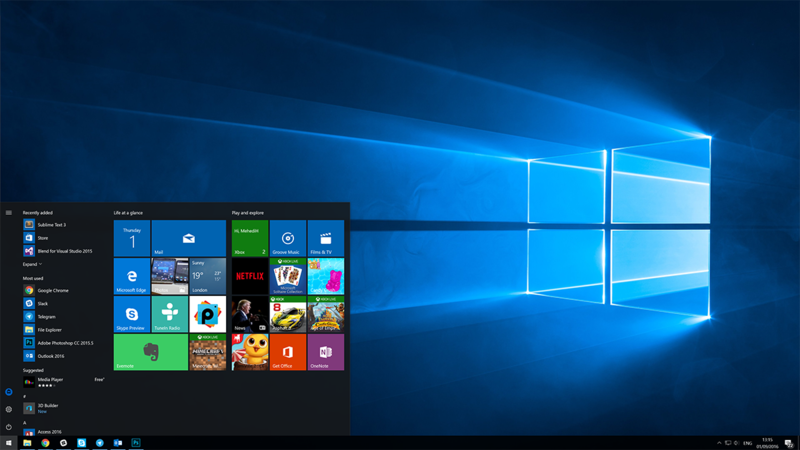 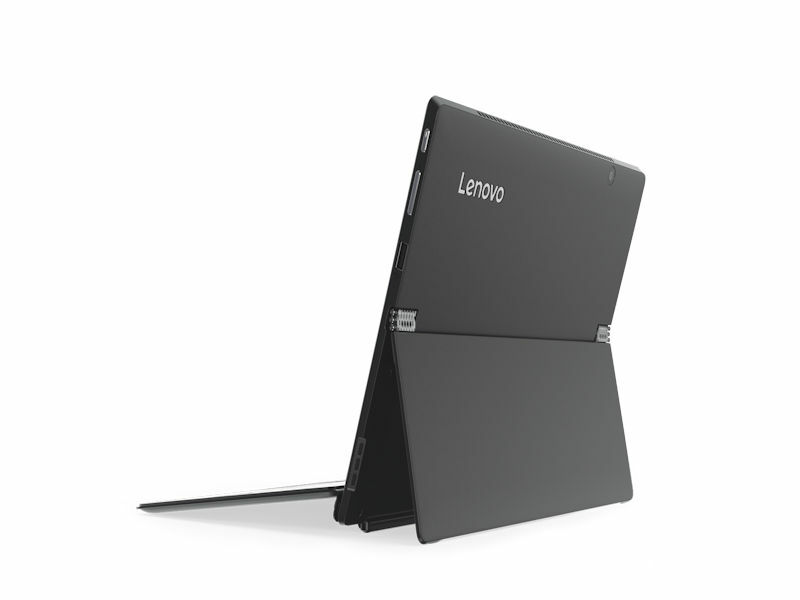 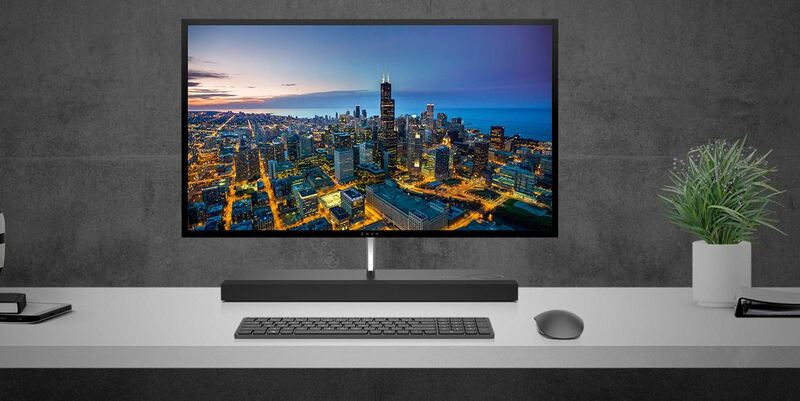 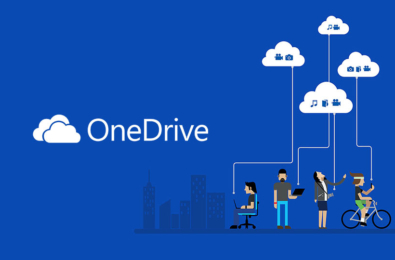 Lenovo has announced their latest Surface challenger at CES. 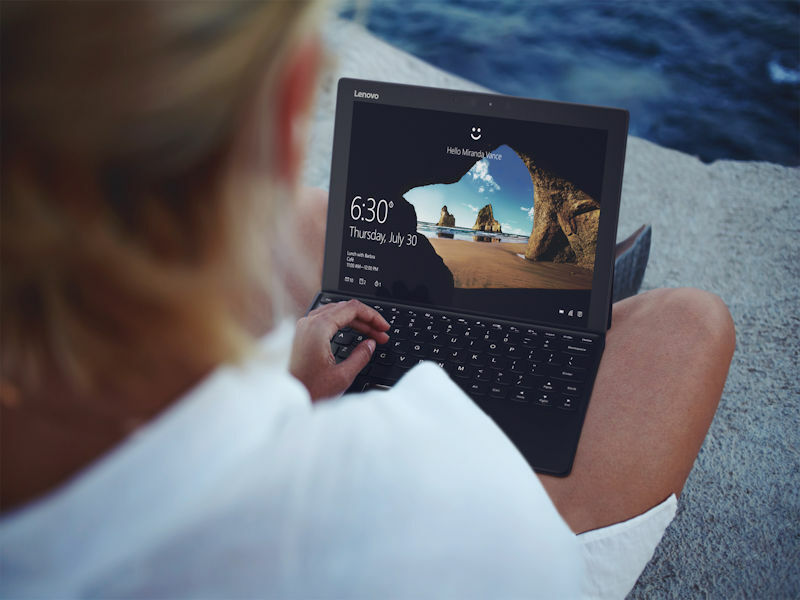 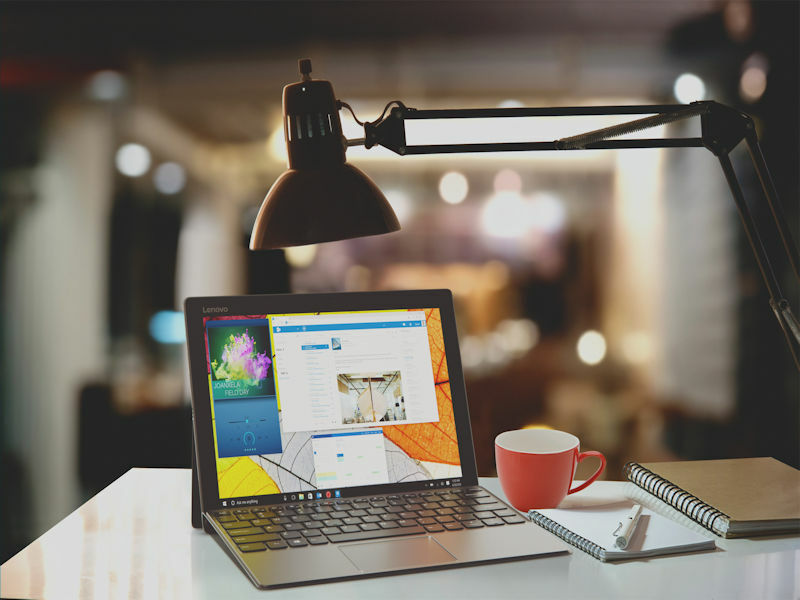 The Lenovo Miix 720 detachable with Lenovo Active Pen 2 is the result of feedback Lenovo gathered from millions of users to better understand what they need, and want, in their next portable PC. 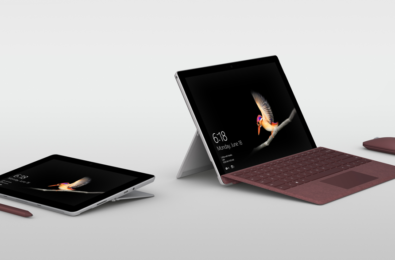 Prioritizing mobility over all, the tablet measures in at just 0.57 in (14.6 mm) and 2.4 lbs (1.1 kg) including the precision touchpad-enabled keyboard, while still housing a 12-inch QHD+ touchscreen with a 2880 x 1920 resolution delivering crisp clarity. 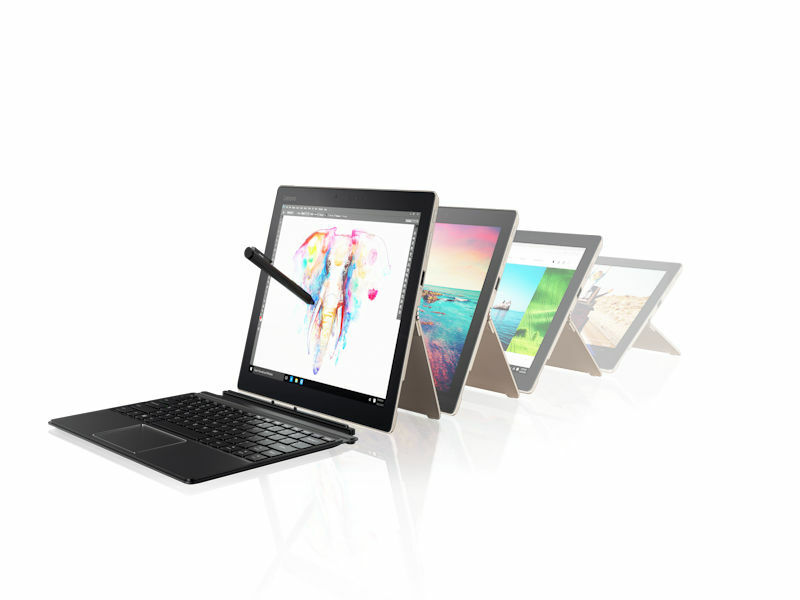 The tablet offers up to 8 hours battery life and an always-on USB port for charging your phone even when your PC is off. The Miix 720 features an integrated infrared (IR) camera with Windows Hello™ to instantly recognizes your face to unlock the detachable. 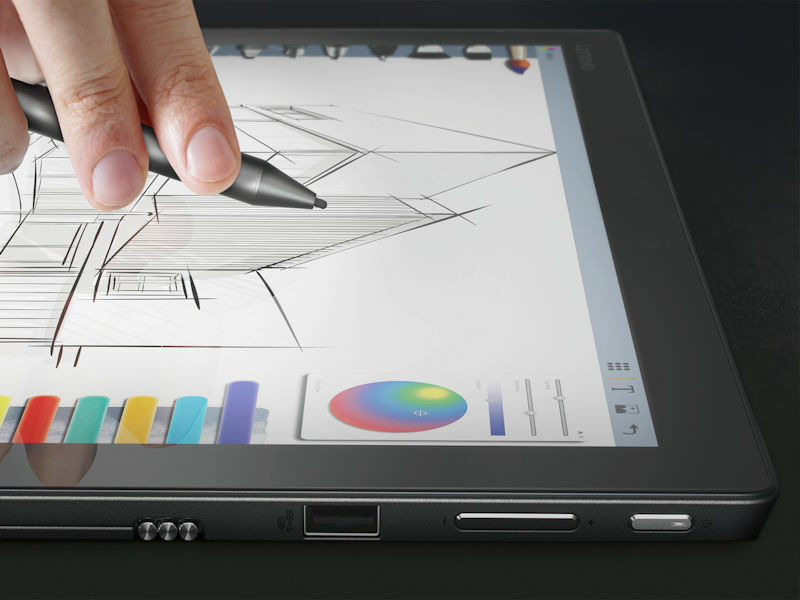 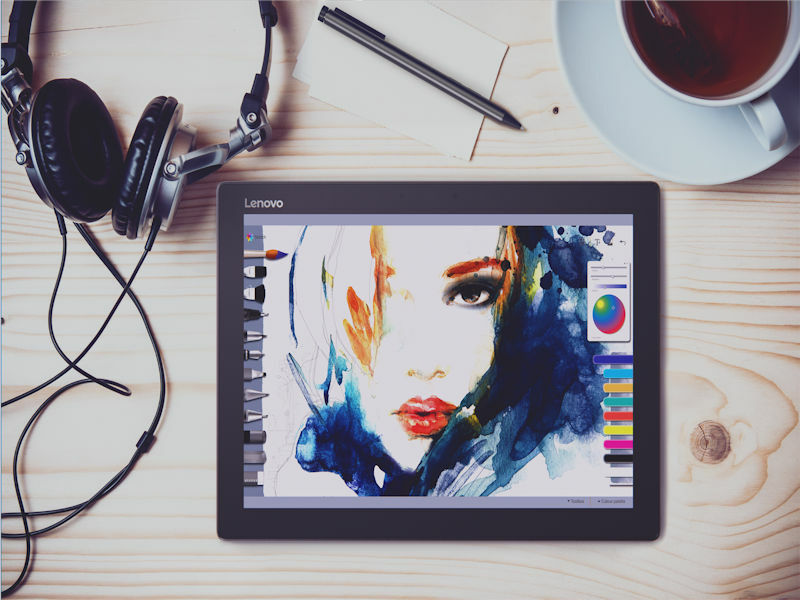 The Lenovo Active Pen 210 lets you use the shortcut button to open your email and offers 4,096 levels of pressure sensitivity for a precise drawing experience, like writing on paper, and clips into a convenient pen holder. 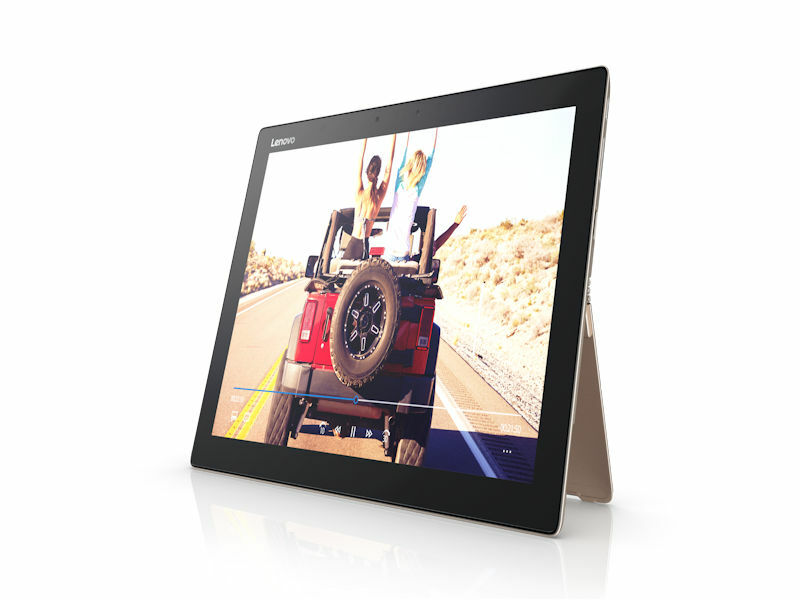 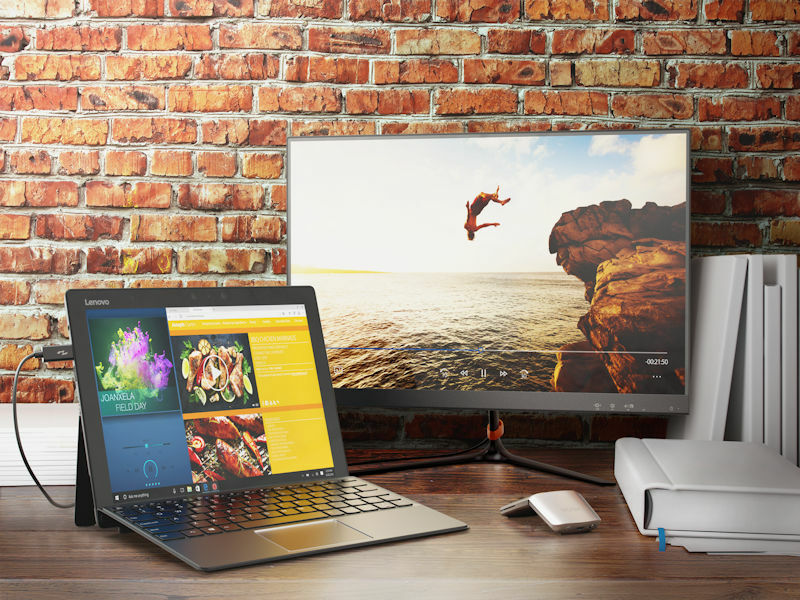 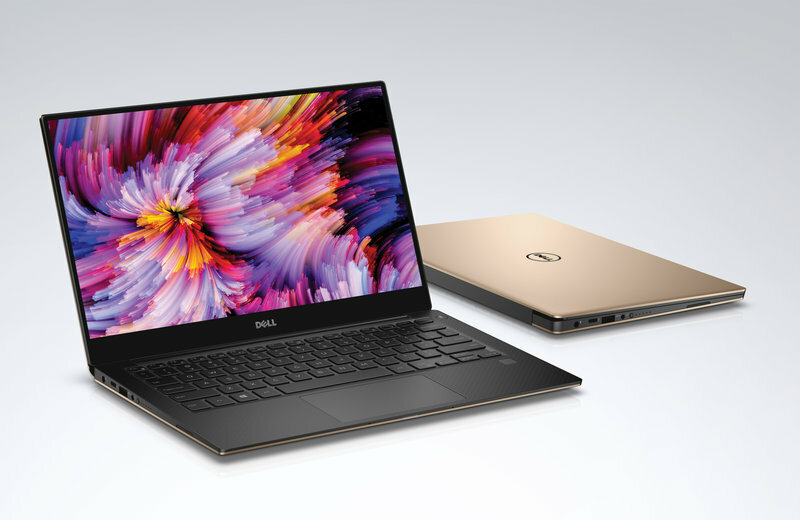 The Miix 720 also offers connectivity via USB-C, which lets you power up to two 4K monitors via Thunderbolt 3. 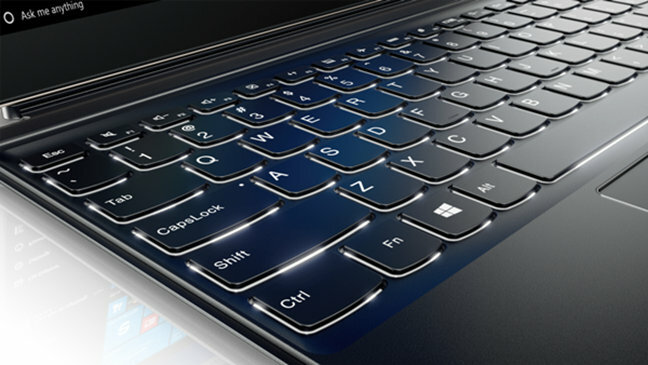 The back-lit keyboard offers full-sized keys and 1.5mm key travel for fast and accurate typing and the 5 megapixel rear-facing camera offers another option for rapid data capture. 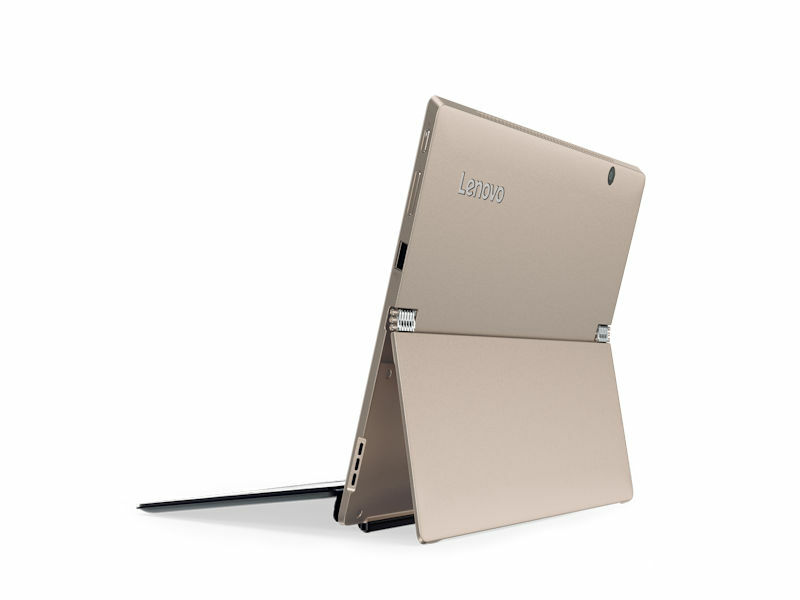 The kick stand has been improved, and now offers 150 degree rotation and is now even smoother and more rigid. 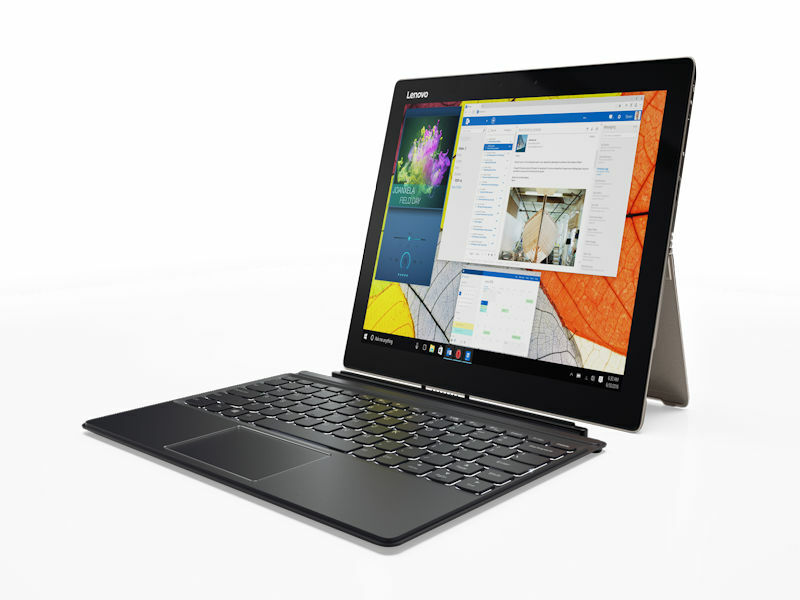 The Miix 720 (keyboard included) starts at $999.99 and is available in two color options Champagne Gold and Iron Gray beginning in April 2017. 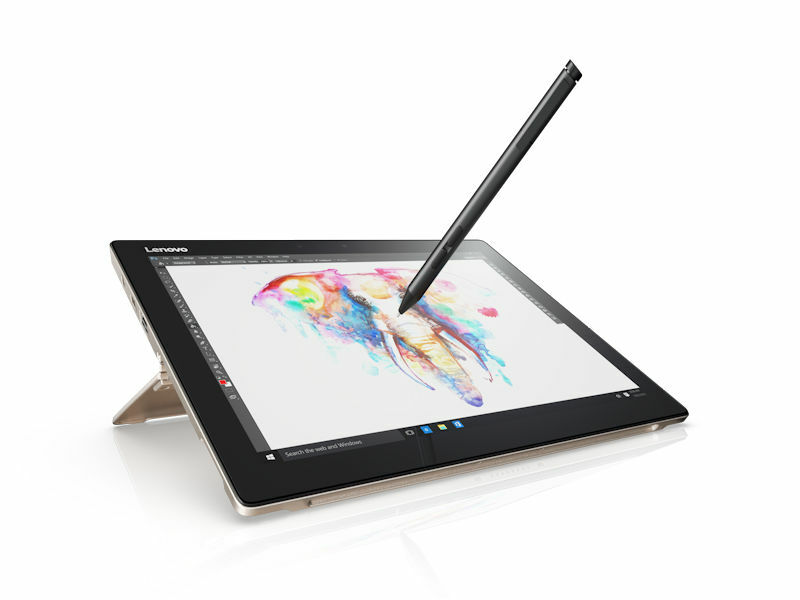 The Lenovo Active Pen 2 is sold separately and starts at $59.99, available beginning in February 2017.